As exclusive members of The Guild, we are able to position your property right in the heart of London buyers, attracting a wider audience of potential purchasers than just available locally. 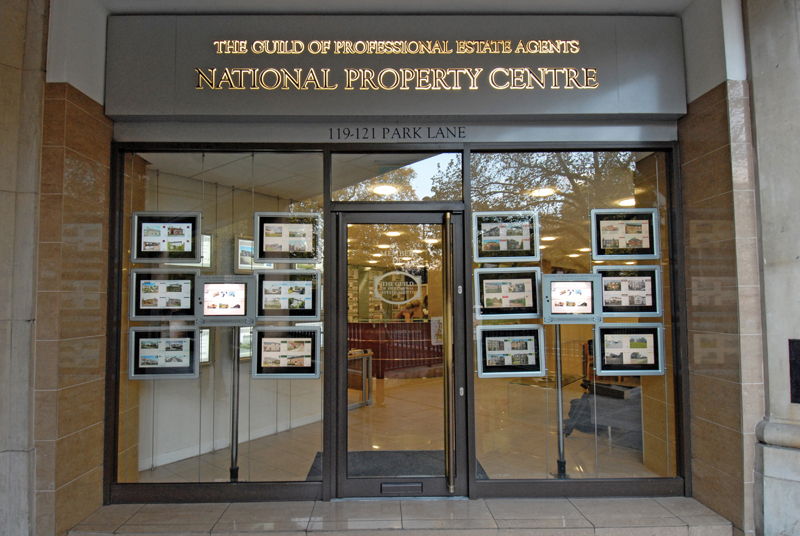 Through The Guild’s network, our London presence and our local expertise, we will ensure your property is marketed on a local, regional and national level, providing you with an enviable advantage on similar properties for sale in your local market. How will your property be presented? Your property will be visible on our state-of-the-art, external touchscreens located at the front of the Park Lane showroom, providing 24/7 viewing access to the public. In addition to the external touch screens, your property details can also be positioned on the display walls within the showroom. The Park Lane staff are highly trained and experienced in assisting buyers to locate suitable properties, providing sufficient details to raise interest and then directing any enquiries back to us to follow up. With such high profile offices, and over 30,000 residential properties for sale, it is only natural that Park Lane generates significant interest from affluent and committed National and International buyers, your property could be just what they desire!